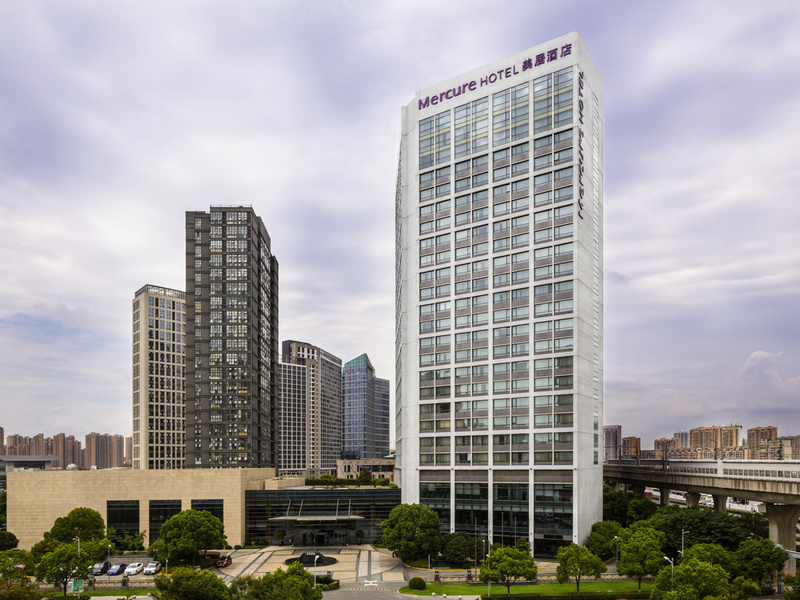 Located in Huaqiao CBD, our hotel offers 398 spacious guest rooms in different types, full coverage of high-speed network, a western buffet restaurant, a Chinese restaurant, several banquet halls and supporting facilities surrounded by the hotel. It takes only 5-10 mins to walk to Anting Station or Zhaofeng Road Station of Metro Line 11 and 30 mins to drive to Shanghai Hongqiao Airport and Hongqiao Railway Station. Our hotel warmly welcomes your arrival and provides you with the best service. Located on the floor 2 of the hotel, it serves Huaiyang cuisine, Shanghai cuisine, Sichuan cuisine, Hunan cuisine and delicious lunch and supper of other styles. Its 15 boxes can provide privacy. Located on the 1st floor of the hotel, the all day dinning restaurant blends Eastern and Western cuisine. It provides guests with a delicious and healthy breakfast, lunch, supper, and a la carte. Located on the 1st floor of the hotel, the lobby lounge is the ideal place for you to have a chat with your friends, taste wine, coffee and snacks. High-speed WIFI is also available.